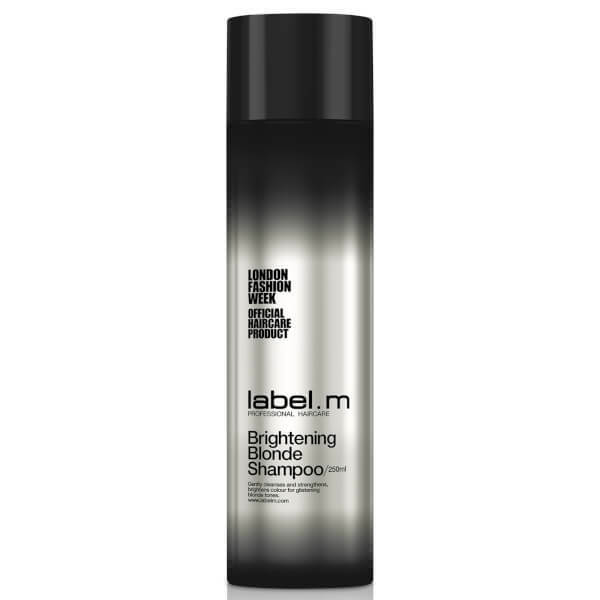 Restore shine and vibrancy to locks with label.m Brightening Blonde Shampoo, a nourishing cleanser formulated for blonde hair. Enriched with a blend of natural extracts including White Pineapple, Mamaki Tea and Lemon, the shampoo works to enhance and lighten natural highlights whilst minimising brassy tones. The rich, silky formula coats each strand from root to tip to replenish intense hydration and protect locks against heat styling and UV rays, helping to prevent dryness, frizz and breakage. Dirt, impurities and product build-up are lifted away effortlessly, leaving hair full of body, bounce and brilliant shine.